When Bloomberg reported a few months back that President Trump had interviewed former Godfather's Pizza CEO and one-time presidential challenger Herman Cain for a seat on the Fed board of governors, Eccles watchers largely wrote him off as a novelty, and focused on cracking jokes about the monetary policy implications of Cain's infamous 9-9-9 plan. But others swiftly pointed out that as a former chairman of the Kansas City Fed's board of directors, Cain was technically qualified for the position, and not really an outlandish pick. As the resident Herman Cain historian, it’s important to note that Herman actually has loads of experience with the Federal Reserve and a pretty strong understanding of monetary policy. So when BBG again reported that Cain was seriously being considered for one of the two open seats - one of which has since gone to Steve Moore - Fed watchers took notice, despite concerns about Cain's expressly hawkish views on monetary policy (which apparently wasn't a problem for self-styled "growth hawk" Moore) and worries about the Senate confirmation process. Two weeks later, it appears Trump has made up his mind. According to Axios, Trump has settled on Cain to fill the last remaining open seat on the board, but will wait until his background check is cleared before making the official announcement. To be sure, there's a possibility that the background check could pose a problem. 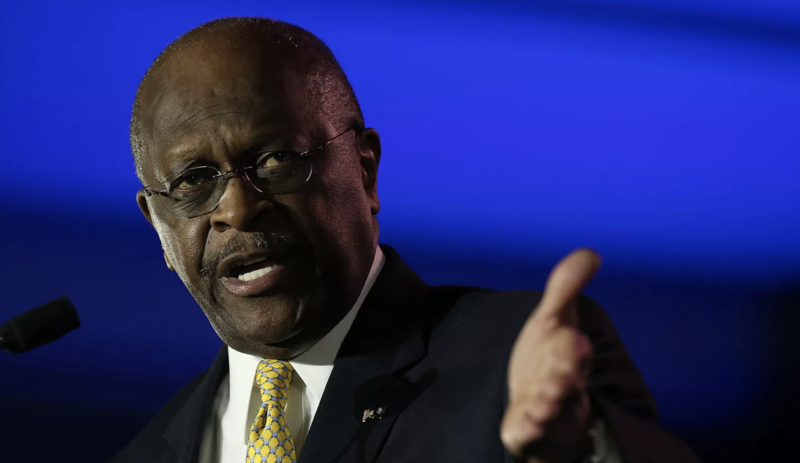 Cain's candidacy during the 2012 Republican primary was cut short following a sexual harassment scandal (Axios's sources were careful to note that they would attach an "asterisk" to his candidacy). But them again, the president's favor can often outweigh such considerations. "He won't formally announce until the vet is completed...But he likes Cain and wants to put him on there," said one senior official. The last few weeks have been crammed with Fed-related news. Not only is Trump nominating Steve Moore, who is expected to do everything in his power to keep rates low, but he reportedly once considered trying to replace Jerome Powell with Kevin Warsh, before concluding that it wasn't worth it, and telling Powell that "I'm stuck with you." But that hasn't stopped him from griping about how nominating Powell was "one of the worst decisions I ever made." Then again, if Trump is so concerned about keeping interest rates low, we could think of another even more suitable candidate.